Swaggerty's Sausage ballpoint logo pen. 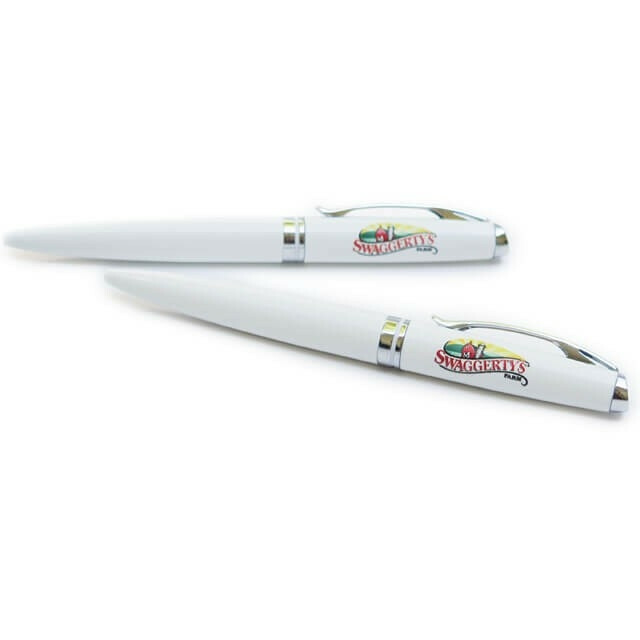 An elegant white pen with full color Swaggerty's Farm logo. Not that everyone wants or needs a Swaggerty's pen, but if you think you'd enjoy sharing your appreciation for the Swaggerty's brand with your penmenship, we want you to have a nice, affordable ballpoint pen.